Vedas are the primary and oldest scriptures of Hinduism. Many sages wrote them and they are pure authentic and most sacred scriptures of Hinduism. Entire Hindu philosphy is based on them. 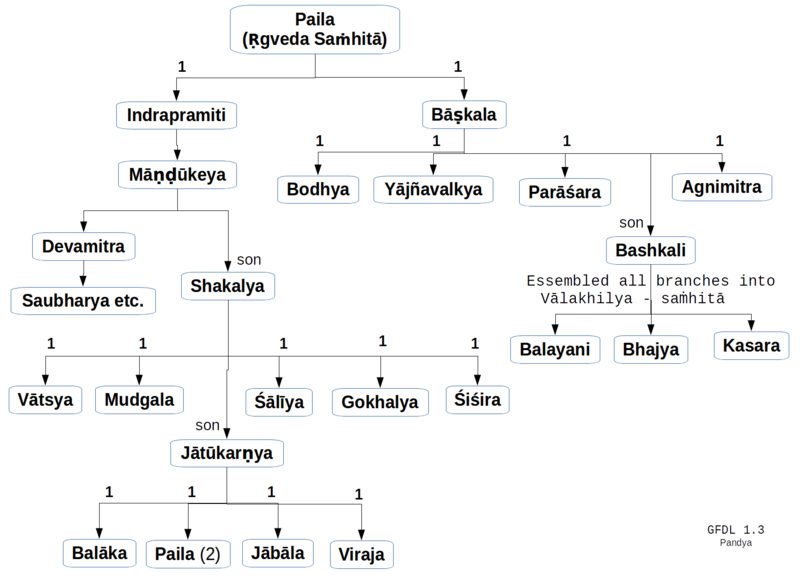 The four Vedas are Rig Veda, Sama Veda, Yajur Veda and Atharva Veda. According to some sources there were thousand branches of it but now only 10-12 branches are left. So my question is that is the Baskala Shaka of Rig veda as authentic as other Shakas? And can it be regarded as Sacred as other Shakas? Baskala Shaka also contains Shiv Sankalp Sukta and Lakshmi Sukta. Can anybody also provide me its English Translation? Refer 54th verse of Srimad Bhagvata Canto 4, Chapter 6 where Bashkala is clearly mentioned as one direct discipline of Paila. After dividing his saṁhitā into two parts, the wise Paila spoke it to Indrapramiti and Bāṣkala. So, Bāṣkala is authentic Shakha of Rigveda. Not the answer you're looking for? Browse other questions tagged scripture vedas rig-veda translation-request . Are the Vedic Gods Prajapati and Brahma the same? Which is the earliest reference to Upavedas?